As far as I’m concerned, the following scenario confirms my past assertions that the republican President Donald Trump is acting like the poster child of a Russian asset as he resides in the White House. This is just case in point. 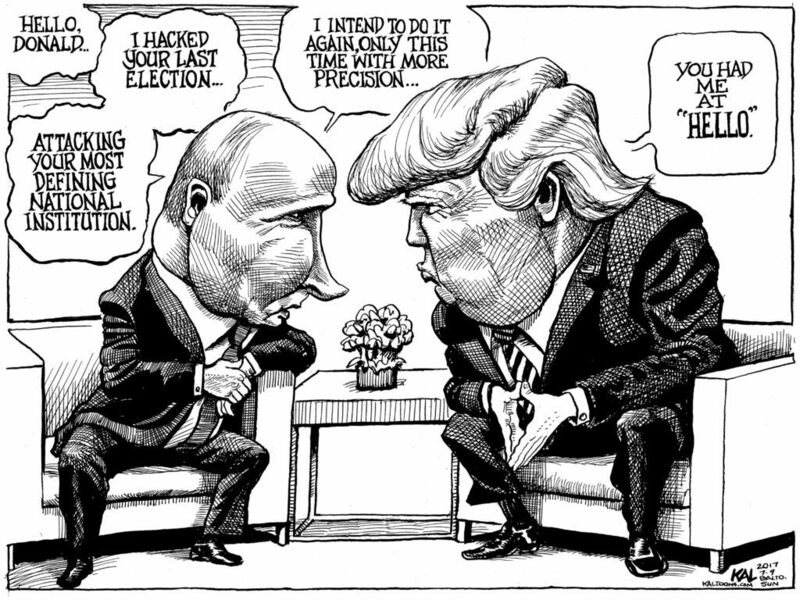 Despite all the president’s aides advising the president not to contact President Putin to congratulate him in winning a recent election where he couldn’t lose, he did just that. This report is the result of a leak which has staffers in the White House fuming. The good news is someone risked his/ her job to make this story public. “It was not clear whether Trump read the notes, administration officials said. Trump, who initiated the call, opened it with the congratulations for Putin, one person familiar with the conversation said. Gronda, three things jump out at me on the faux election and follow-up. The US President called to congratulate a despot for winning a rigged election where the primary opponent was jailed on a phony charge, where ballot stuffing was caught on camera and older people know that voting against Putin may get them in trouble. Putin’s own people after the rigged result said people have given him a mandate to change the rules to be President for life. Mandate? The US President is making policy to please President Putin. President Putin wants the wedge between USA and NATO countries, he wanted a free hand in Syria, etc. It is impossible for the republicans in the US Congress to continue to pretend that they don’t see this. Yes the optics are horrible, but I don’t see what the big deal is. Just alot of hype IMO, Trump gets to hog the limelight once again, and the media is catering to this buffoon! The president acts, looks like a Russian asset to the point most Americans are wondering what President Putin has on him regarding kompromat. President Trump is supposed to be representing US interests first, not Russia’s. I suppose he looks up to his mentor Putin, like a fanboy! I just don’t see why the press has to give him so much attention. An old celebrity cliche: there no such thing as bad publicity, it all depends on how you spin it! It’s like the MSM hang on the king’s every word… does he deserve such an honor? I think not! 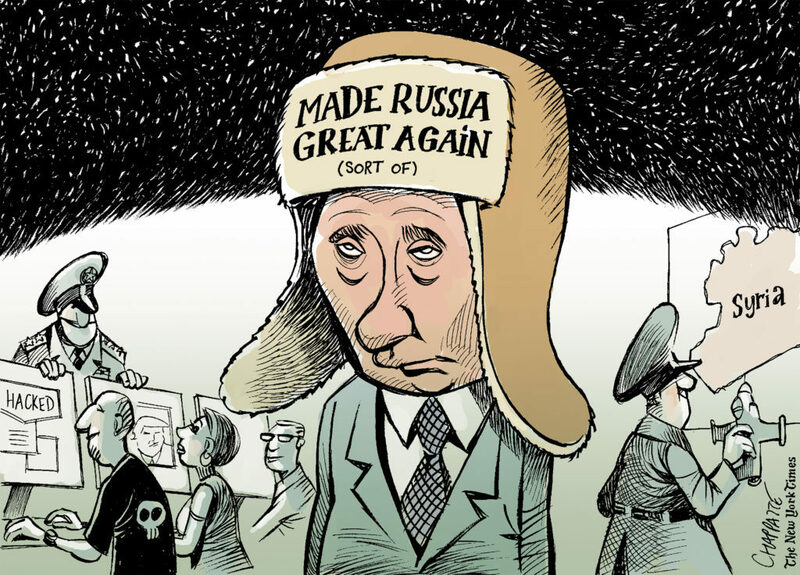 In the eyes of the Russian people and from their perspective Putin is making Russia ‘great again’. Once more a world power, as they see it. At best 20% of the US population, and an international joke. No one laughs about Putin. I concur completely with John McCain’s comments. The fact is that Trump praises dictators because he envies them and aspires to be like them. Meanwhile, he puts down the leaders of democratic nations. He says he admires “strength”, but he defines that word much differently than most of us do. His blatant admiration for a cruel dictator is humiliating and embarrassing. Yes, it IS a big deal, for it shows us what he values, what he aspires to. Good post, Gronda … Hugs!!! It says much when the leader of a purportedly free and democratic nation panders to a despot who “won” a rigged election … an election where his only real competition was jailed on a rigged charge and voters were intimidated. It shows us what Trump’s aspirations truly are. Please take a few minutes to read Gronda’s excellent post about Trump’s call to ‘congratulate’ a dictator on ‘winning’ a rigged election, for it is important for us to understand exactly what Trump aspires to. Thank you, Gronda, for this post and for permission to share!